First published in 1940, this is a classic work by one of the most well-regarded archaeological scholars. 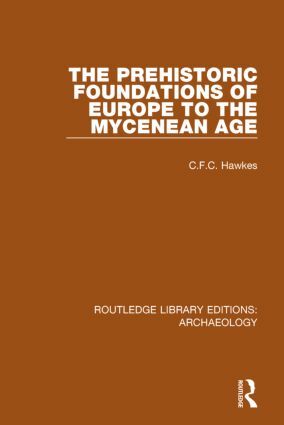 European archaeology had made remarkable progress in the early twentieth century and this volume offers a clear impression of the understanding of European prehistory as a whole. Broken into six topics with additional prologue and epilogue, the text traces out the early foundations of human culture in Europe, covering the Palaeolithic, Mesolithic, Neolithic and Bronze Ages, as well as offering specific focuses on trade routes, and migration and conflict.